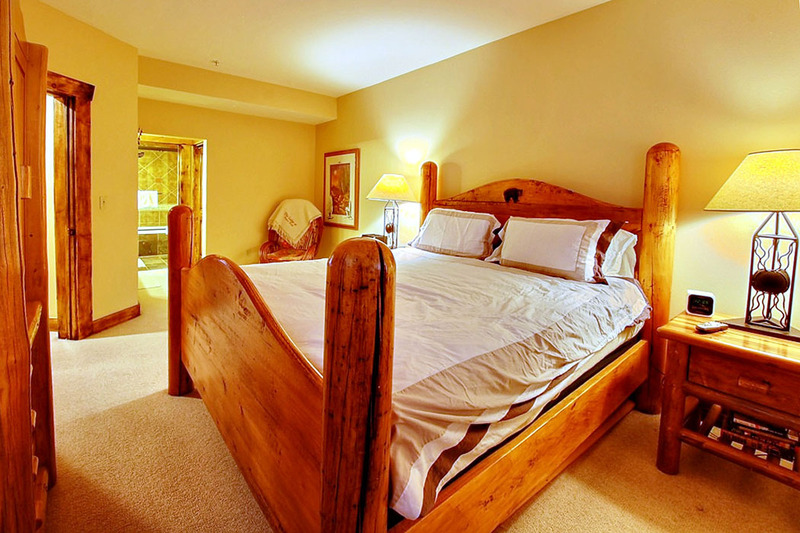 If you want to experience the exhilarating activities and mountain air in Deer Valley, this newly renovated luxury condo is the perfect place to unwind after a fun day in the mountains. 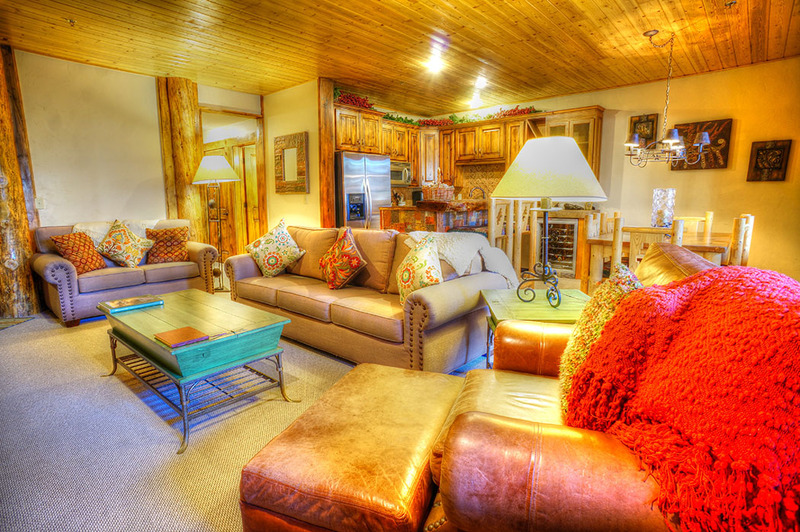 Abode at Black Bear sits mid-mountain, in Upper Deer Valley’s luxurious Silver Lake Village and only a short stroll from the lifts at Silver Lake Lodge. 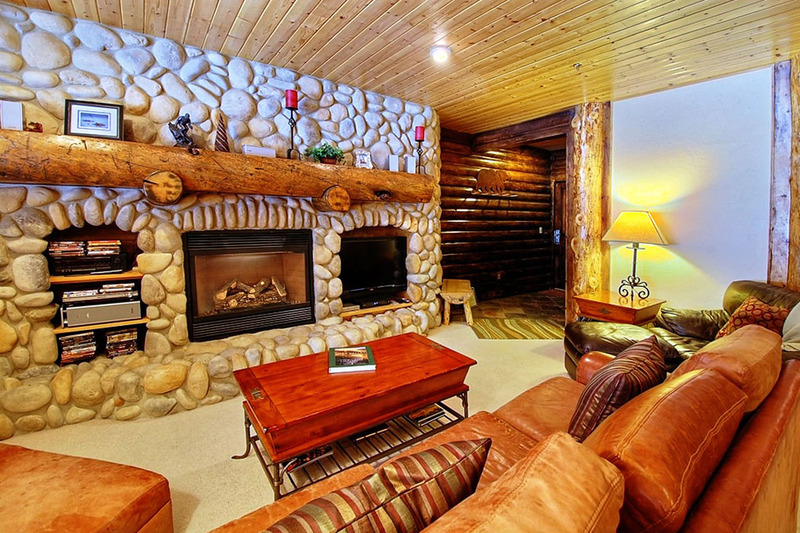 This 2 bedroom/3 bathroom condo is perfect for a great ski vacation or summer great away. Sleeping six with two master suites and a pull out couch, the condo is fully equipped right down to a supply of laundry detergent. 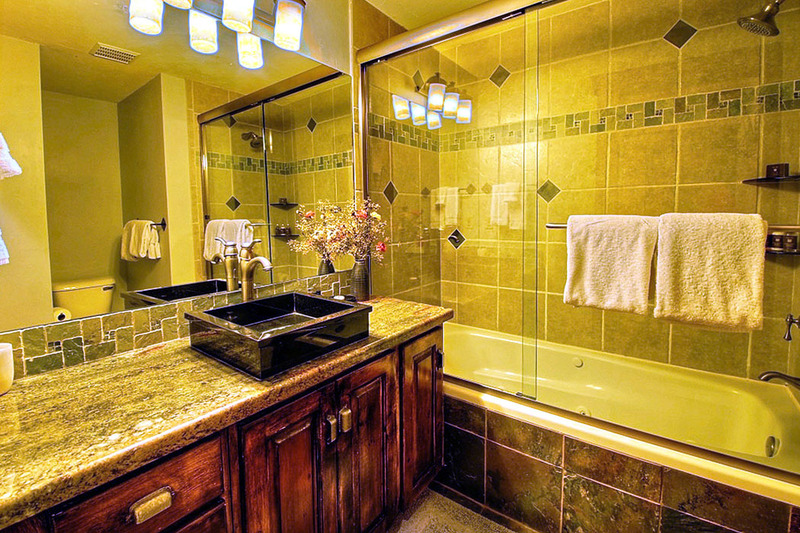 An added bonus is the access to a common area pool plus you have your very own private jacuzzi right outside you back door (no need for a freezing cold run in you swimsuit across a patio!) as well as a courtyard area. 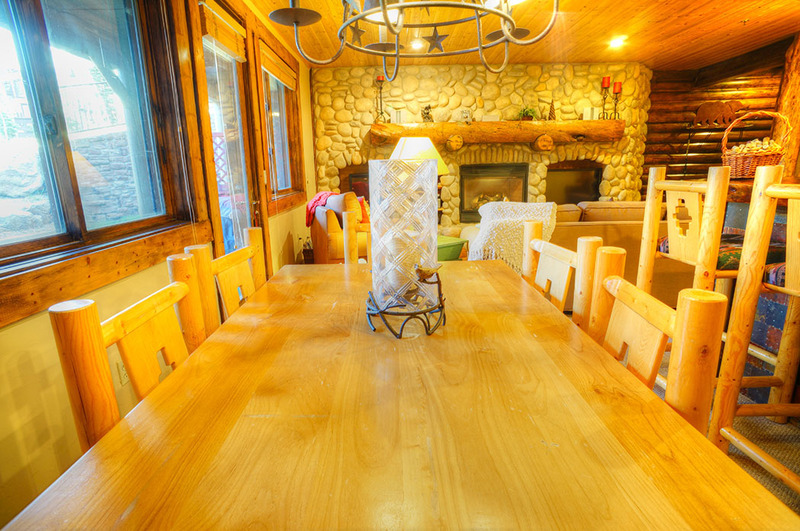 Beautifully decorated in a cozy mountain style with wooden ceilings, a stone fireplace and deeply comfortable beds, this peaceful second home projects the warmth of a rustic mountain lodge and is the perfect place to kick pack and experience the best of Park City or Deer Valley. 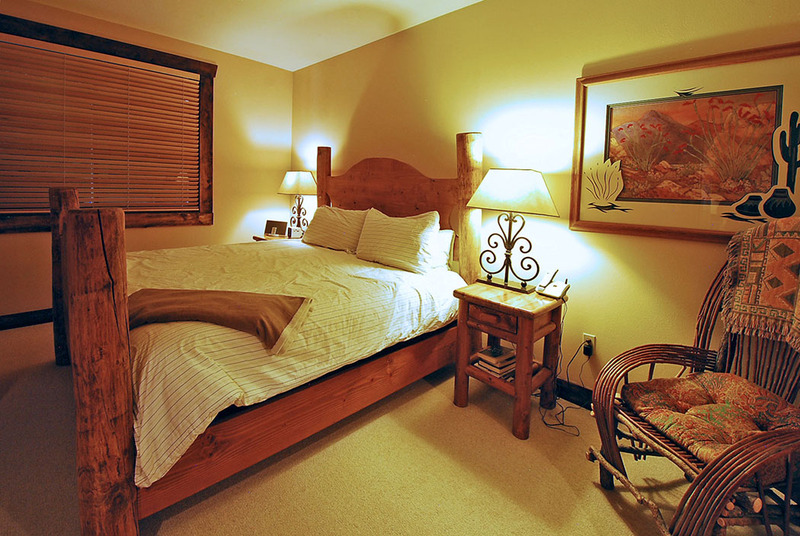 The location is a short stroll to Deer Valley so not strictly ski-in/ski-out, but virtually as convenient, just walk across a street to the parking lot to Silver Lake Lodge at Deer Valley where you can enjoy to enjoy biking, hiking and skiing and where you can directly access there are multiple lifts. There were plenty of trails for wide range of skiing abilities from beginner to expert and one lift takes you right down to the ski school. Silver Lake Village also boasts six elegant restaurants, along with many other shops and boutiques for you to enjoy right outside your door. 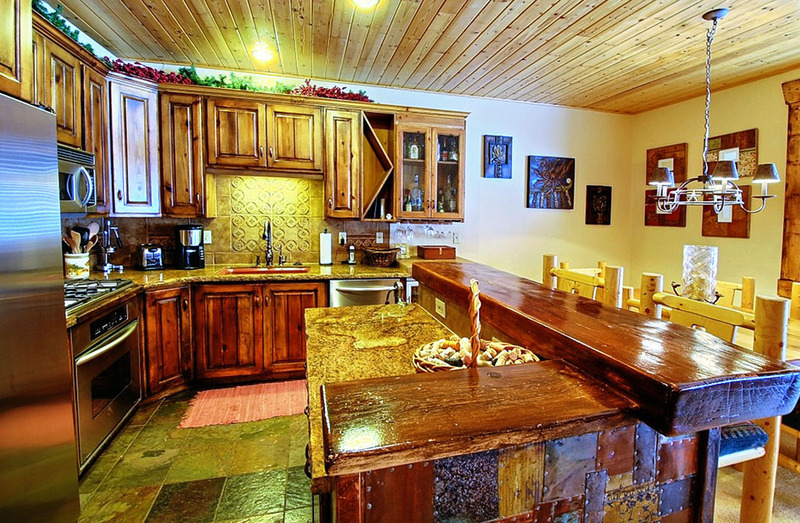 So stoke up the fire, stick a bottle of wine in the chiller and enjoy your own porch side private hot tub after an awesome day biking hiking or skiing. 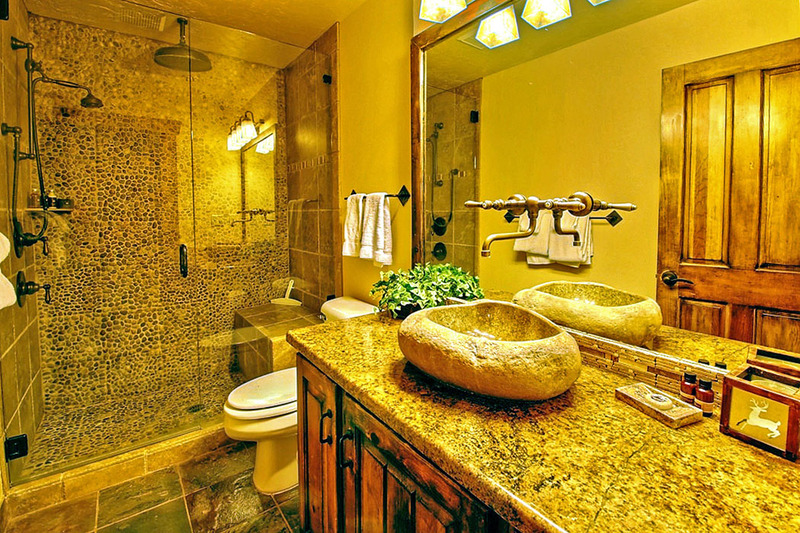 You can book this home from home with Abode Park City who are available anytime (# 435.565.1555) to help you figure out where to stay in Park City and will find you the best home or condo for rent for your next vacation in Park City or Deer Valley. Once you arrive, it will be a vacation to remember.